"EXPANDER 175 is a clean tech with multiple benefits for the host facility"
Clean power – EXPANDER 175 generates emission free power. Economics – EXPANDER 175 creates significant benefits for the host facility/producer. Efficient – EXPANDER 175 improves the energy efficiency of the reciprocating engine it is coupled to, by approximately 10%. Non interfering - EXPANDER 175 does not interfere with the compressors operation. No water required – The EXPANDER 175 does not require water for condensing. 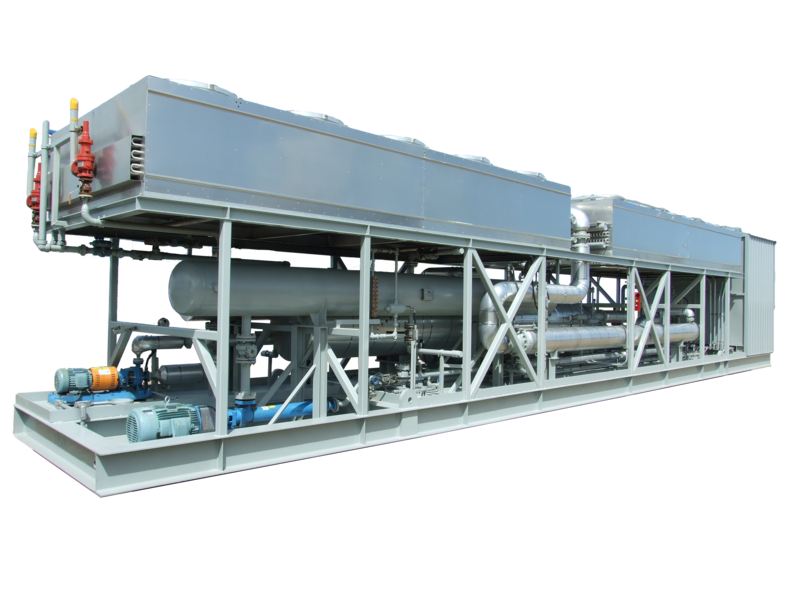 The system has integrated air cooled condensers. Turn key – EXPANDER 175 is a skidded, “plug-and-play” system that GNP can retrofit to a compressor on a “Turn-Key” basis. Versatile – Engine drivers can retrofit to virtually any reciprocating engine. Autonomous – EXPANDER 175 is ready to operate on installation. No operator involvement required.